Start-up business entrepreneurs are putting a lot of effort into building GIS applications that support the common good. While using GIS to connect causes with resources, they are designing frameworks for outreach that help people help people. Here are some examples of their altruistic applications. Recovers is an application that communities can use for disaster preparedness and recovery response. Recovers sets up the community’s recovery hub on an online platform to serve as a centralized location. Local leaders use the service to manage volunteers and donated items and organize requests for help. Individuals use it to request help and offer their own skills, services, and resources in the recovery effort. In addition, organizations serving the area can post their locations, resources, and needs to the public on a map. The Recovers platform enables people from around the country or locally to locate recovery organizations and send them the types of resources they need. The Longmeadow Fire Department and Office of Emergency Management use the Recovers platform as a tool for disaster preparedness. People with resources can easily connect with people in need by posting their services on a single platform that shows locations and types of service. For instance, people can find shelter for animals because the local Humane Society posted pet care services. They can also locate relief funds from the United Way, free legal advice from the American Bar Association, or a hot meal from the Salvation Army. Local volunteers can form response groups to help by removing debris, sandbagging, and salvaging. Examples of Recovers communities are Boulder County Flood Recovery Hub, Alberta Flood Recovers, and Longmeadow Emergency Management. The WorkHands platform provides search results for open positions in the San Francisco Bay Area in California. WorkHands helps skilled trade workers find employment. Welders, carpenters, mechanics, and more, are using the site to connect with each other and their organizations and to find and apply for open jobs in their area. The www.workhands.us platform offers a free website and mobile app. 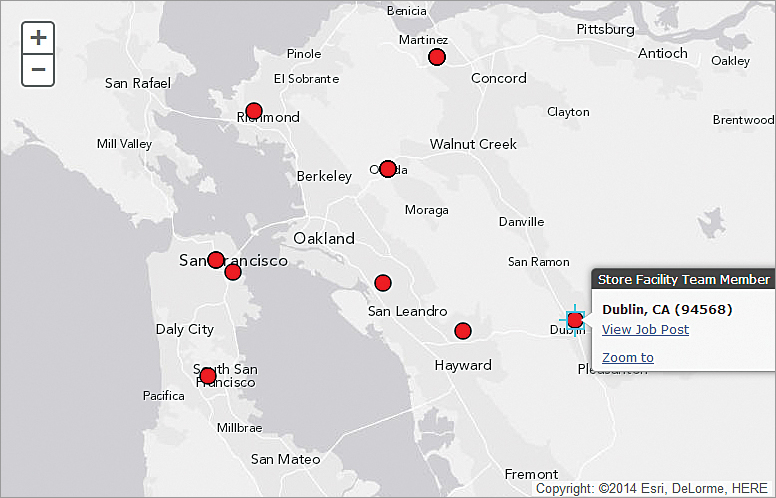 Its GIS functionality helps workers search for and locate jobs and employers to search for and locate workers. Companies such as Shell, Union Pacific, and SpaceX have posted their open positions on the WorkHands job board. Trade schools throughout California are encouraging their students to sign up and get connected to businesses and other workers. The Parents of Charlotte Elementary group used thrdPlace to call for volunteers and supplies to create three community gardens that will give children a place to learn about growing food. People seeking to organize community projects can use thrdPlace to pitch their ideas and connect with volunteers, resources, and funding needed to make it happen. Organizations can also easily use the thrdPlace online and mobile platform for community outreach or to promote charities. The US project map on the home page allows users to select, by location, a project that interests them. Clicking Take Action takes users to a project dashboard that includes a site map, information about the project, resource needs, status bar, announcements, and events calendar. Local organizers are using the app to benefit their communities. Something to Remember is using thrdPlace to promote a portrait donation day in Culver City, California. The South Central Block Beautification project uses the app to invite the community to clean up and paint murals along an entire block of buildings in South Central, California. The Parents of Charlotte Elementary in Charlotte, North Carolina, are using the platform to get support to create three community gardens.